4K resolution, also known as 4K, refers to 4096 x 2160. Other resolutions around 4K are UHD (Ultra-high-definition television). UHD resolution is 3840 x 2160. Talking to Sharp about their SoC controllers at DSE 2019, and the future of 8K in digital signage. Distribution amplifier gives commercial integrators ability to support up to four SDI 4K signals. 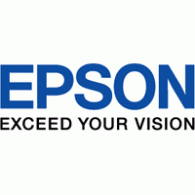 Epson has released a new line of Laser Projection Platform. The Units can generate 4K resolutions up to 12,000 lumens with modular components for easy upgrade and servicing.